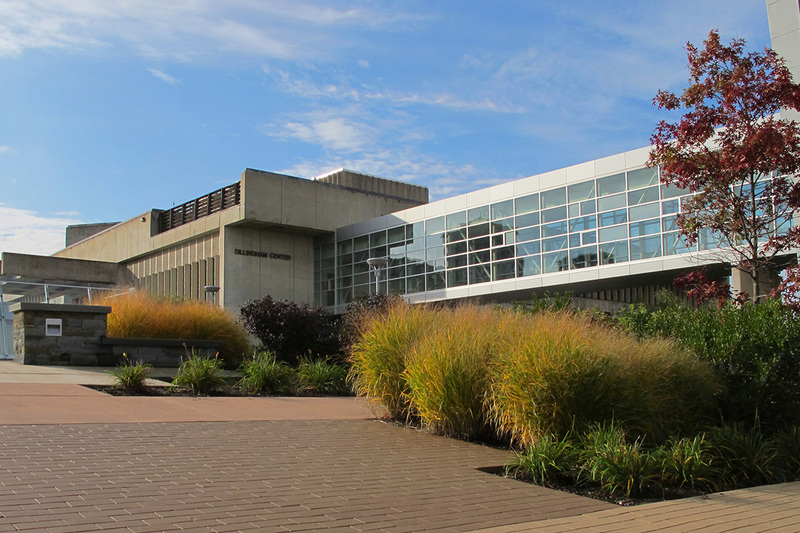 The Peggy Ryan Williams Center is the “front door” of the Ithaca College campus and provides the first impression most prospective students and their parents have of the college. 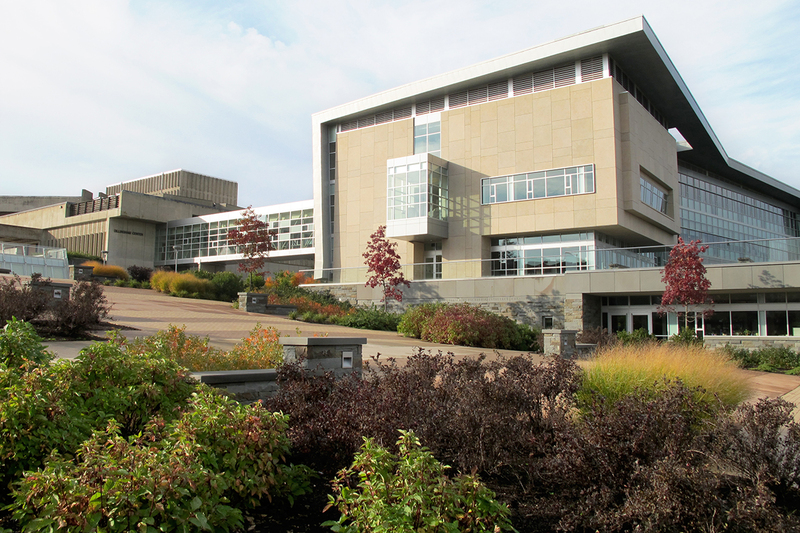 The building houses enrollment planning, admissions, graduate studies, human resources and executive administration. Campus tours assemble and depart from here. 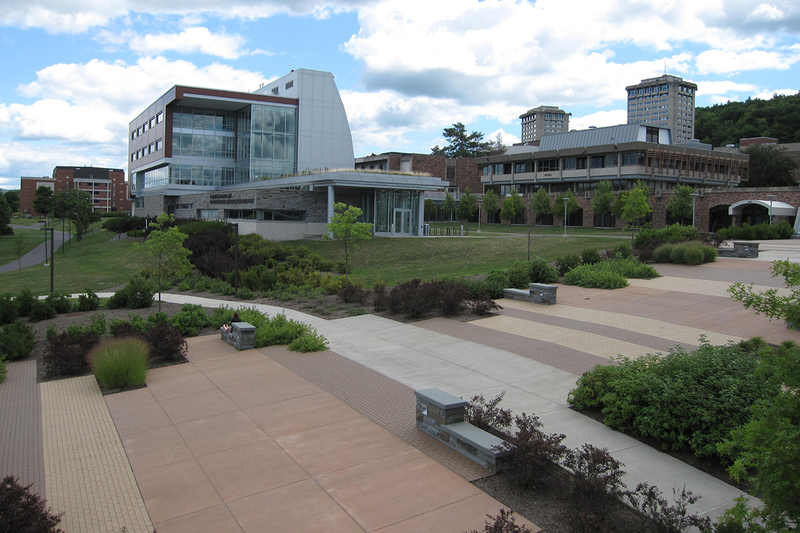 Responding to the campus master plan, TWMLA worked closely with the design team to site the Peggy Ryan Williams Center in relationship to the new School of Business to frame an impressive view of Cayuga Lake from the campus. 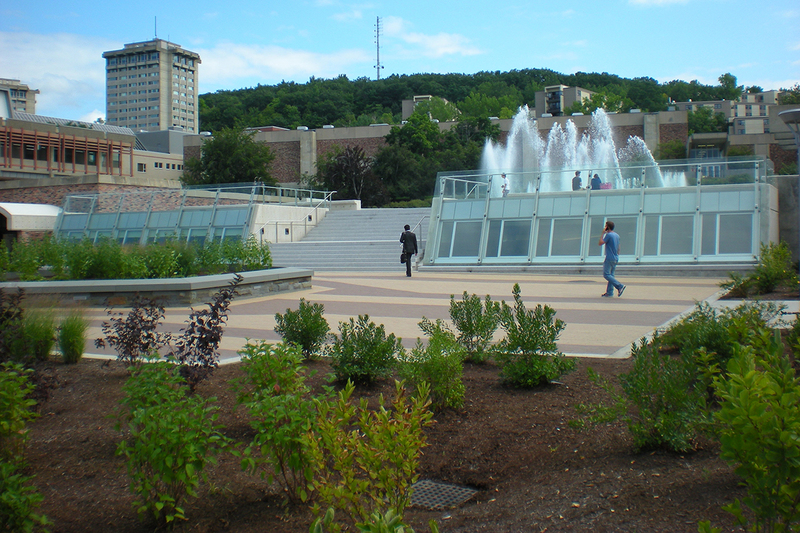 A broad entry plaza, on axis with the iconic campus fountain, unites the two buildings and creates an impressive entrance to campus. The Peggy Ryan Williams Center was carefully designed to integrate the building into the landscape. As people move through the building they continually capture views of the landscape, establishing a strong inside/outside relationship. 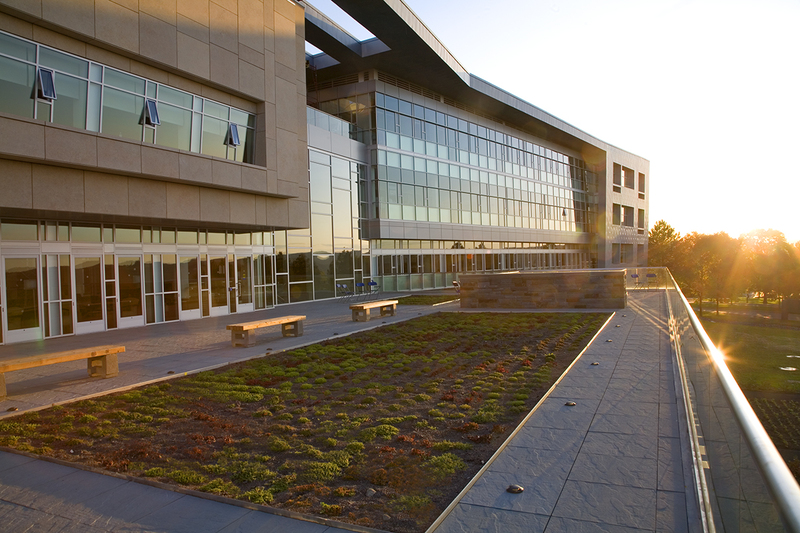 Four green roofs capture stormwater and provide visual interest. Two of the green roofs are integrated into an outdoor gathering space on a second level terrace. 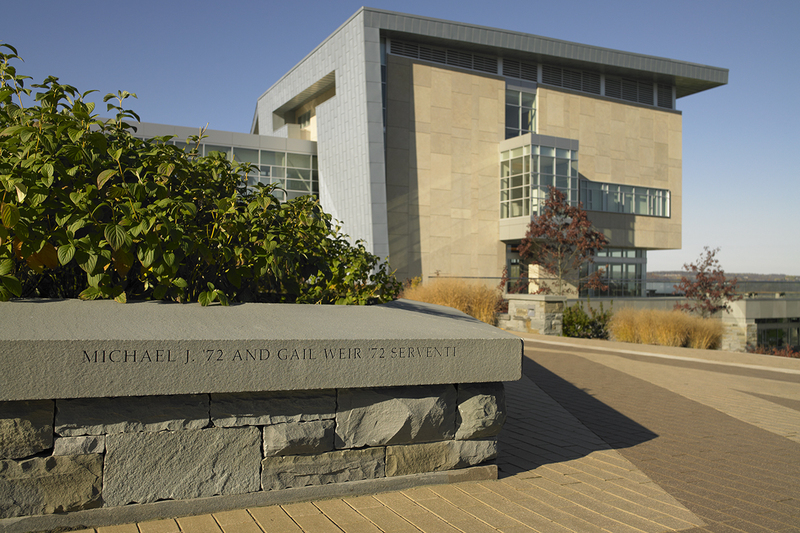 Native tree and shrub plantings frame the entry plaza, specialty paving adds visual interest to the large space, and a series of bluestone seat walls invite students and visitors to linger. A donor recognition garden anchors the top of the plaza. The Peggy Ryan Williams Center is LEED Platinum certified with the U.S. Green Building Council. Landscape elements such as site selection, native plantings, and porous pavements, in addition to geothermal heating and cooling and use of sustainable and local building materials, contributed to the LEED Platinum certification.